As a courtesy to all the home owners who are getting ready to do a home renovation or remodeling project, we offer these sobering reminders of what could happen if you rely on one of the highly advertised lists or directories, not realizing that the listed contractors have all the usual failings. the Founder and General Manager of renOmazing™. And that means you could be facing the Seven Deadly Sins of Home Improvement contractors. Click on each to get the full story. Work on your home renovation project has stopped until you agree to a price increase. Sound familiar? Get instant relief from this nightmare and other home improvement headaches with just one call to renOmazing™, your direct link to better contractors offering better prices on contractor services. Your calls and emails to your “approved, highly-qualified contractor” go unanswered. Days and weeks go by. Then suddenly somebody answers and they are annoyed when you bring up how long it took to get a response. 2.) Let's play "Pick the best estimate". aYou receive wildly different estimates in the hope that the competition for your contract will force the participating contractors to offer a good price. But the gap between the high and low bids is so high you have no way of knowing what is the fair market price. You ask friends and relatives for help and get nothing, except a recounting of how much trouble they had finding and hiring a contractor. You make a choice, pay the deposit and hope. 3.) Are they here yet? Nobody shows up on the date your construction or building project is scheduled to begin. Days go by. If you are really unlucky, weeks go by. When the “approved, highly qualified contractor” shows up, he blames bad weather for the delay. “Nothing I can do about the weather,” he explains. 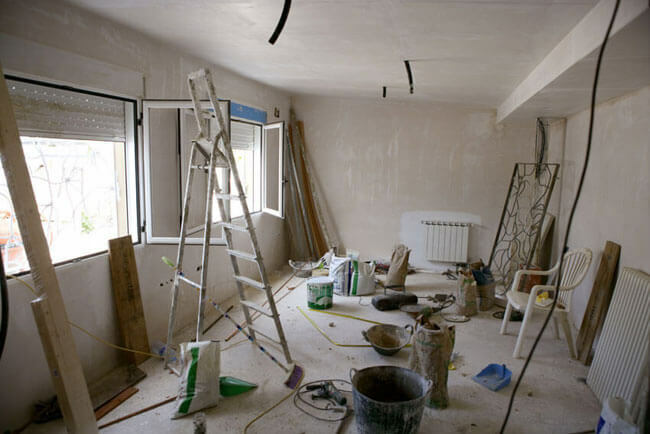 The general contractor requests a meeting, where he explains that an unexpected complication has come up and it will take extra money and extra time to fix this issue. All work on your home improvement project stops. You have two options: agree to the cost increase or the workers leave and, no, you are not getting back any money you have already paid. There is a word for this and it starts with the letter “E”. You agree, reluctantly, to the price increase. The general contractor requests a second meeting, where he explains that work has to stop because delivery of certain construction materials have not been supplied as promised. The materials are available from another supplier, but at a higher price the contractor does not wish to pay. Work stops until the original supplier comes through. The work finally ends. The promised end date is just a faint memory. The “approved, highly qualified” contractor presents his bill, which is significantly higher than the promised price. You feel extreme Sticker Shock. “Just get them out of here,” says your wife. You pay the bill. Previous: Step by stepNext: Did you know?